In order to meet the diverse requirement of the clients, we offer an exceptional collection of Fancy Jhoomer Light. The offered light is designed at vendor’s end using high quality raw material and sophisticated technology. 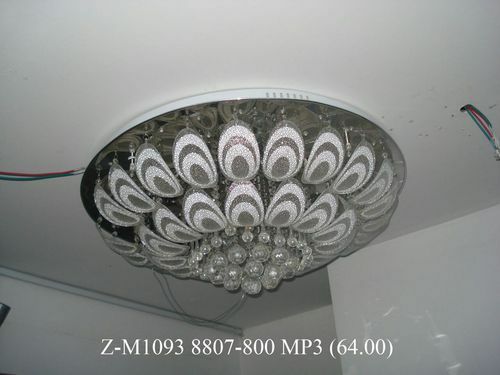 The light offered by us is available in different designs as per the given specifications of our clients. Our valuable clients can avail this light from us within promised time-frame. Established in the year 2013 at Surat (Gujarat, India), we “Kismat Enterprise” are involved in Trading and Supplying a comprehensive array of Multiple Tube Light, Jhoomer Light, CFL Light, Multiple Street Light, LED Panel Light, LED COB Light, LED Bulb, etc. These lights are designed and manufactured by utilizing the best quality components with the aid of most advanced techniques under the stern vigilance of our vendors’ experienced professionals in order to meet the set industry parameters. Furthermore, our offered lights are examined on assorted parameters by team of skilled quality auditors with the usage of modern testing tools and equipments in order to make sure their flawlessness. The offered lights are made available in different capacities and other related specifications to our precious customers as per their needs and requirements. Additionally, these lights are extremely admired by our renowned patrons for their incomparable attributes such as compact design, low power consumption, highly luminous, brightness, enhanced durability and alluring look. We are trader of some big brands like Halonix, Anchor, etc. We also offer Electrical Wiring Service to our clients.